Australia has been colonized for above 42,000 years by aboriginal Australians, following the periodic visits of fishermen from Europe and discovery of Dutch voyagers in 1606. Later in 1770, the eastern part of Australia was claimed by British who transported convicts to New South Wales in 1788. Many of the first settlers were thus British convicts. Free settlers arrived in increasing numbers, particularly after the discovery of gold in the mid-19th century. In 19th century, another five colonies were explored. On 1 January 1901, Australia was formed with the federation of 6 colonies. Since then it has maintained a constant liberal democratic political system. Canberra is the capital city located in Australian Capital Territory (ACT )and population is approx. 21,511,788 as in March 2009. Among them 60% has concentrated in and around the state capitals of Sydney, Melbourne, Brisbane, Perth and Adelaide. Today, 99% of the population is of European or Asian descent. 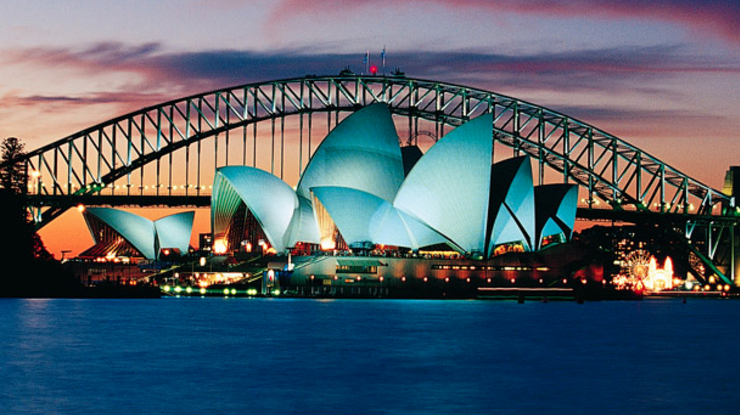 Tourism is the large sector of the economy in Australia, which was merged as a crucial industry. For the years 2002, 2003, 2004 Australia has produced world’s 10th biggest revenue from the tourism. Every year about 4 billion tourists visit Australia and Australians itself are the big domestic travelers. Australia combines an abundance of landscapes. These comprise of deserts in the interior, hills, mountains, tropical rain forests and densely populated coastal strips with long beaches. Distinct from other continents, Australia has wide variety of unique plants and animal life.